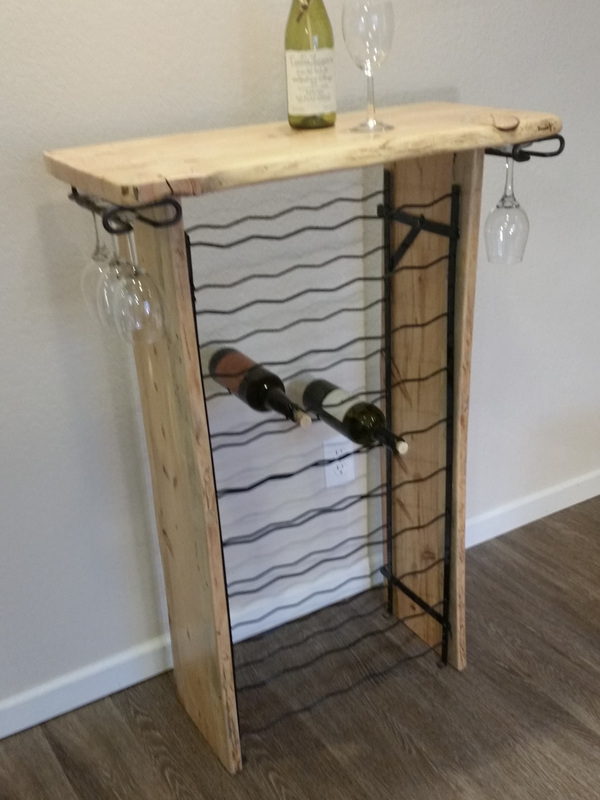 Wine rack holds up to 50 bottles and 6 or 8 wine glasses. The beetle-Kill pine top offers a nice place for opening and tasting. 32" Wide x 44.5" Tall x 15.5" Deep. Shipping not available on this product. Call for delivery options. I call this my Fidget Spinner table, but it doesn't spin. 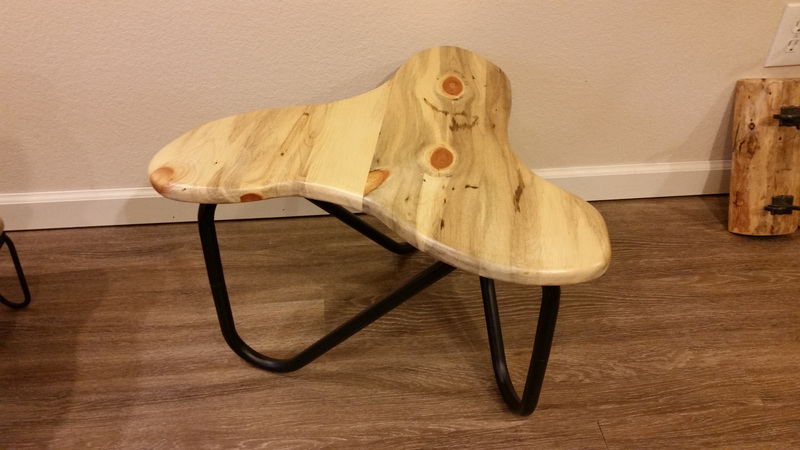 I just matched the top to the 3-footed base and the result was this unique, decorative side table (or small coffee table, or whatever you think it could be). It's 21" across by 15" high. Chrome fan housing with Edison style light bulbs. 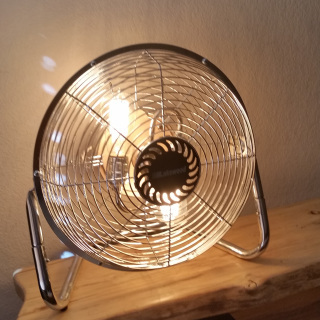 Great accent lighting for any room. 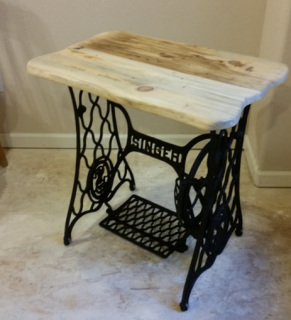 Treadle Sewing Machine base with Beetle-kill Pine Top.